We are fortunate The Pines area, as we locals call it, has a variety of locally owned restaurants as well as chain restaurants so we never run out of options for food. A chain we ❤️ is McAlister's Deli for their delicious salads and great sandwiches. 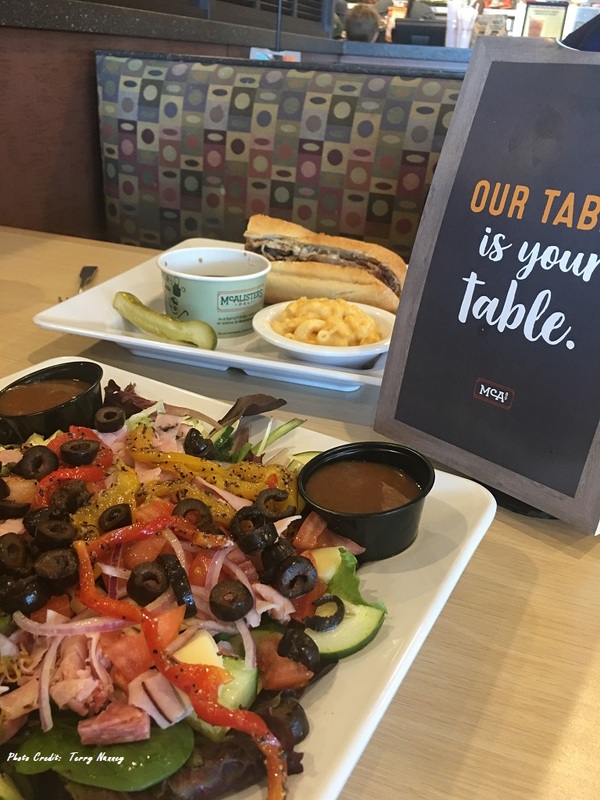 Look at this Italian Chopped Salad and French Dip – doesn’t it make you want to head over there and grab one today?